This complex ticks all the right boxes from its accommodation, the food, the facilities and the atmosphere. Within easy access from the M40, M42, M6 and M1 yet nestled in the peaceful Warwickshire countryside the hotel offers a warm welcome from its reception area to its bespoke spa and golf complex. The staff are happy and helpful, the rooms spacious and tastefully decorated. The restaurant leans towards haute cuisine without the extravagant prices and the breakfast is well displayed with a huge variety. The design of the hotel is a bit like the Tardis in that the outside appears smaller than the inside. Every square meter is different and interesting. Small recesses are furnished with table and chairs along corridors with galleries of painting or prints, you would never get bored here! Hathaways Bar is designed as an old English pub with wooden beams and real ale and draft cider. The wine list is extensive and competitively priced, even a simple cup of tea comes accompanied with homemade biscuits. The restaurant is plush and maintains a level of luxury without pomp and ceremony leaving the guest feeling comfortable and relaxed whilst enjoying the cuisine. 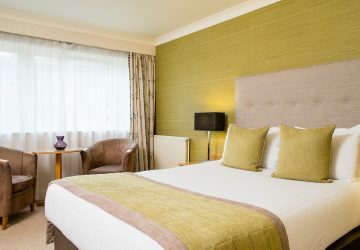 The hotel caters for big events such as weddings and has a well utilised conference centre, evident on the two days of our stay, a hive of activity of businessmen and women. 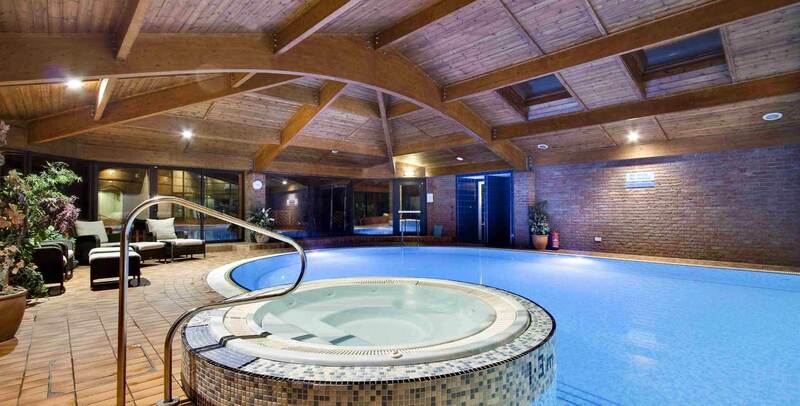 The spa facilities offered a wide range of treatments and it was lovely to see groups of people having aqua classes and toddlers in the swimming pool. We ended up covered in mud, sat in a steam room for 20 minutes then hosed ourselves down, leaving our skin shiny and new. Aptly called the Rasul Mud Chamber it was a truly amazing experience. 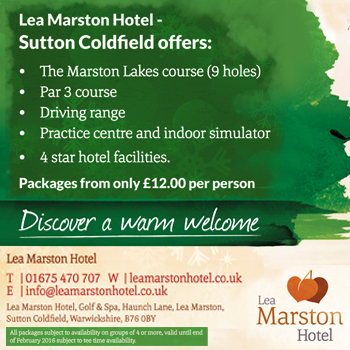 The Lea Marston hotel started its journey as a driving range in 1970, with the par 3 course added in 1984 and a 21 bedroomed hotel being constructed in 1989. 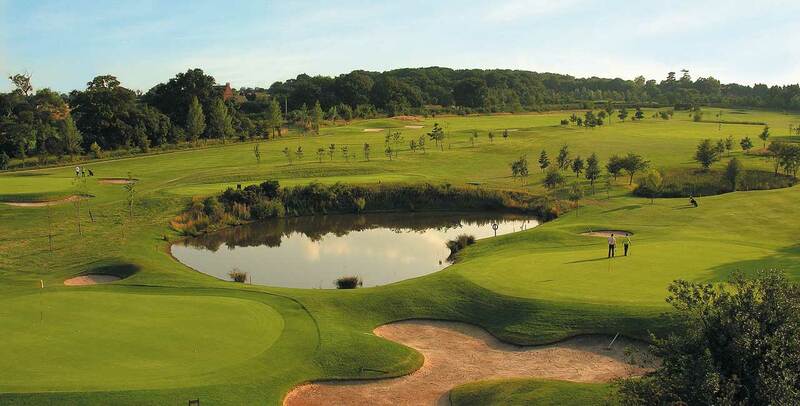 The 9 hole par 60/62 Marston Lakes course was built in 2001 along with a renovation of the driving range. Three par fours over 300 yards exist, along with half a dozen short ones, but it’s not nearly as straightforward as that might sound. Water hazards come into play from the tees on many of the holes for those of you daring enough to take them on. 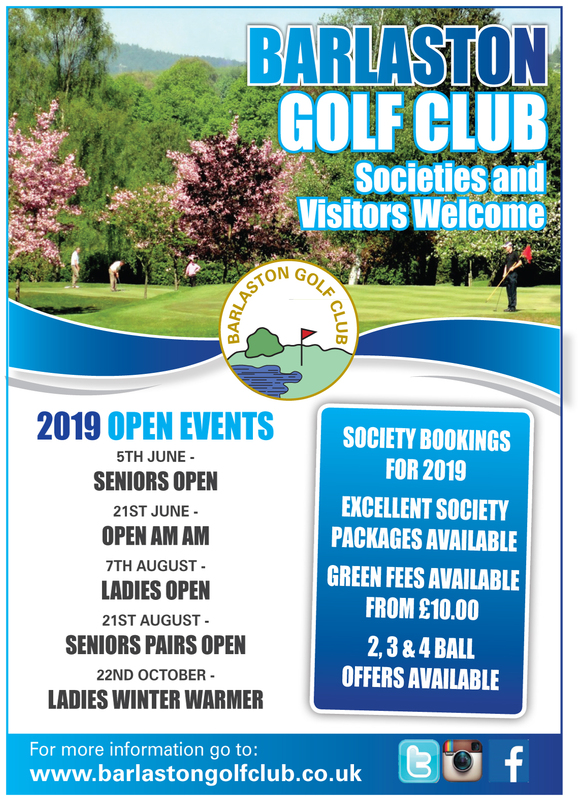 For those who choose to lay up or simply drive a shorter distance you are not penalized by long carry which makes this course challenging but fair and highly suitable for lady golfers as well as the gents. The course, built to USGA specification is well tended and considering the wet autumnal weather the greens were in good condition. A point of interest is that although the tees are equivalent to mens and ladies tees the golf complex encourage any player to play off any tee as they feel able. 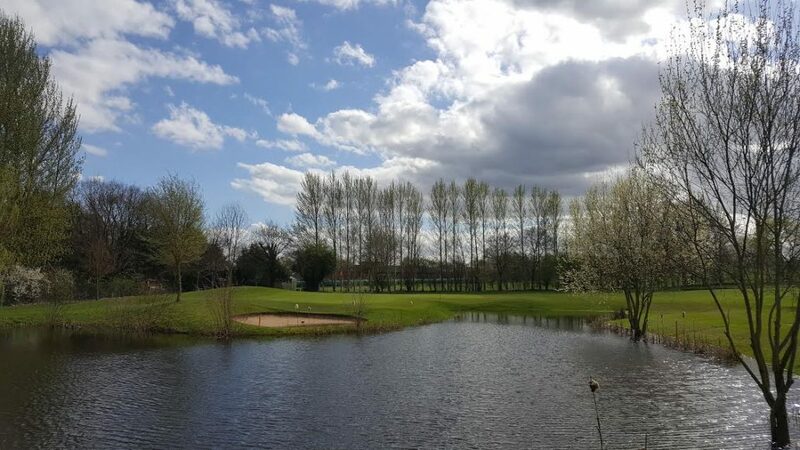 The par 3 course has lovely features such as carp filled ponds, wooden bridges and all interspersed with eucalyptus trees, almost like walking through woodland whilst playing a game of golf. 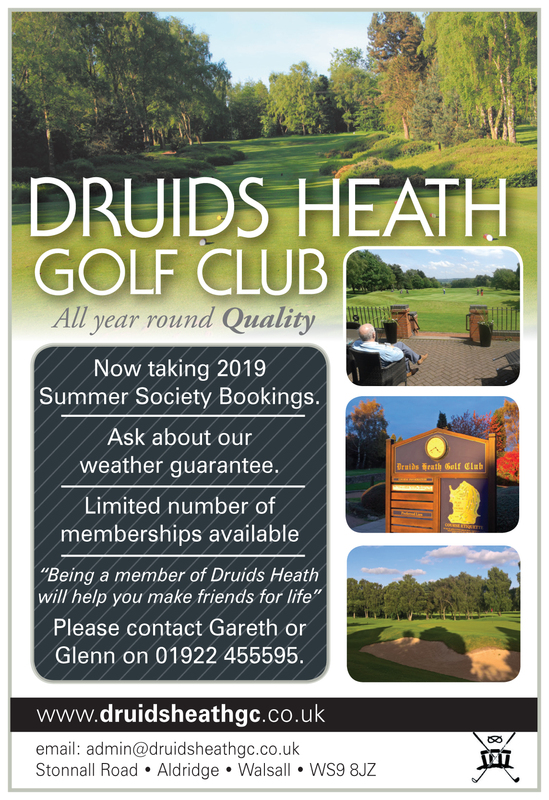 It is a perfect, no pressure starter golf course and the club’s junior academy golfers utilise it for free as part of their membership packages. 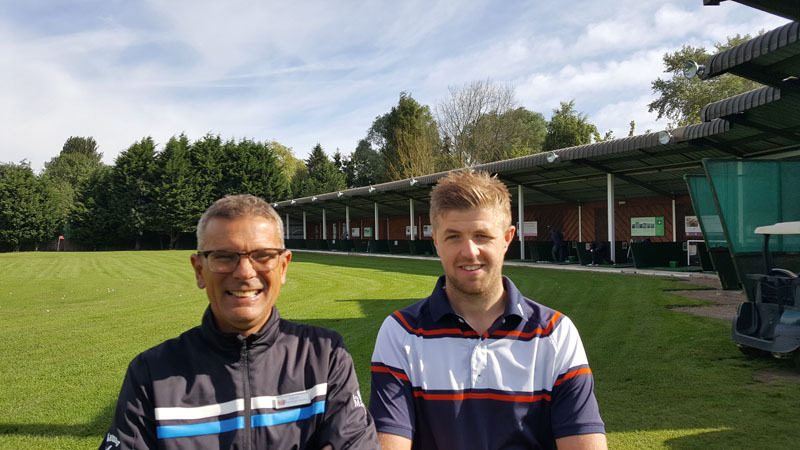 The golf complex also has an indoor simulator and a team of golf professionals under the leadership of Darren Lewis and Ben Challis (below), a passionate and entertaining pair, golfing knowledge and banter tend to go hand in hand. 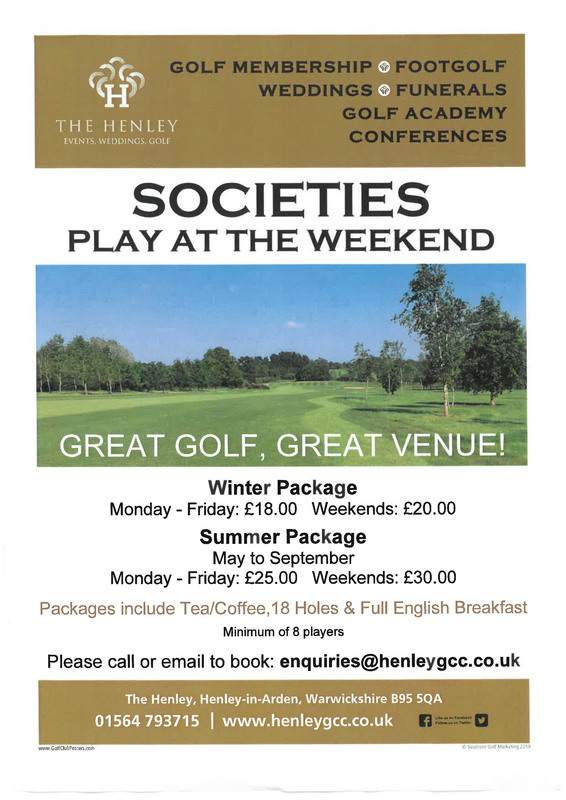 For a few days away, a Lady Captain’s day out, a ‘nine, wine and dine’ event (9 holes of golf followed by drinks and dinner). 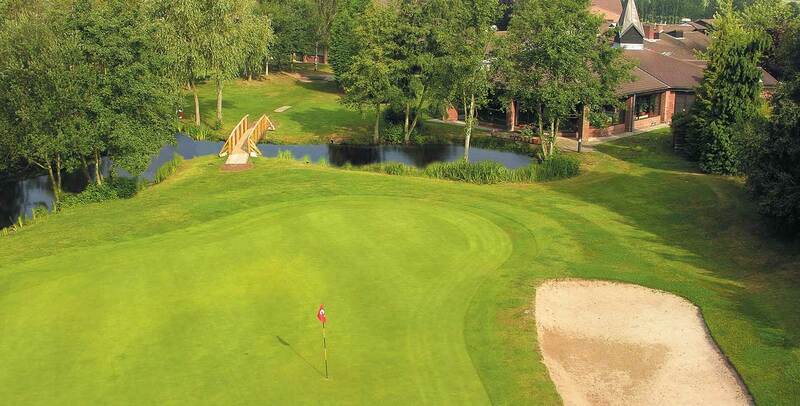 For a golfing hen party, a past Captains’ ladies society or simply a central venue to meet and play golf with or without a stay-over, The Lea Marston Hotel Complex is well worth a visit. They offer a variety of packages, simply contact the hotel or visit their website, you will not be disappointed.